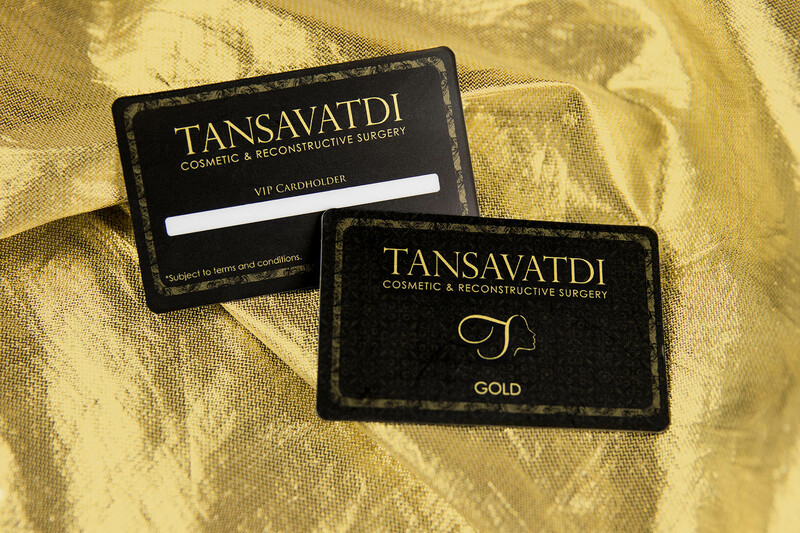 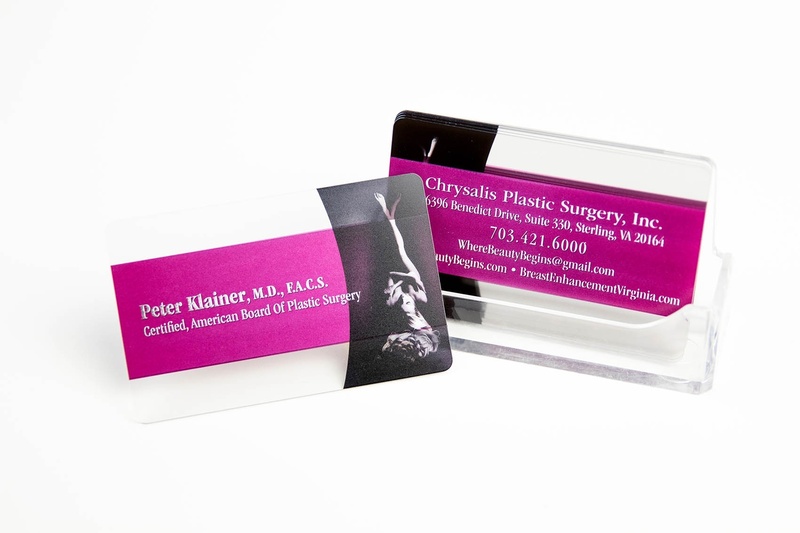 Upgrade your plastic surgery marketing with custom printed business cards, display stands and custom signs. 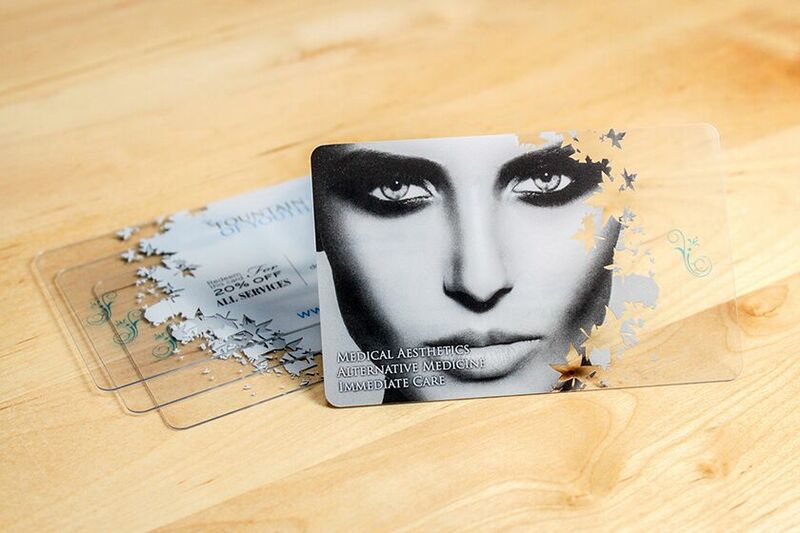 If you want your practice to stand out from your competitors, it's time to think about how you can enhance your plastic surgery marketing materials. 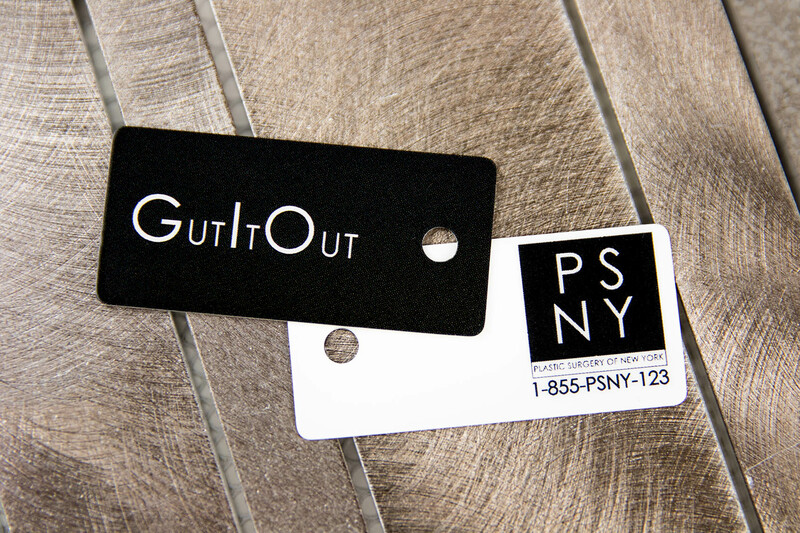 Plastic surgeons know the importance of helping people find the perfect appearance. 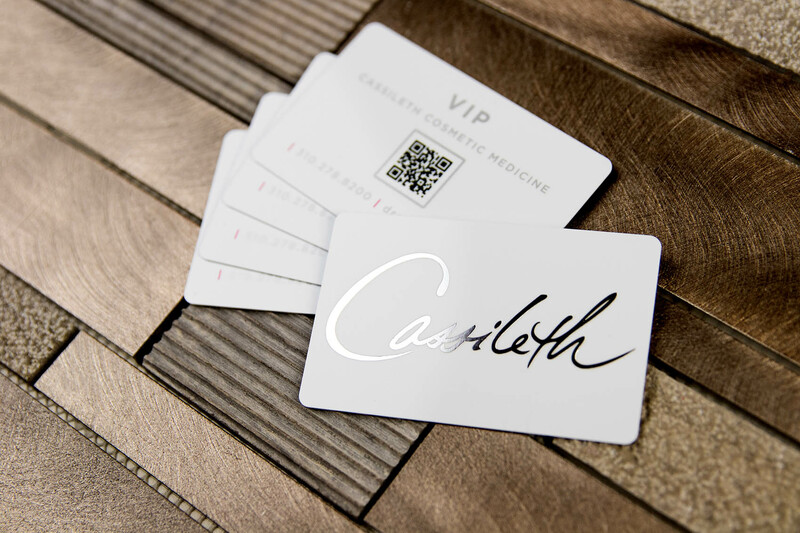 If your practice doesn't have high-quality, beautiful branding and marketing materials, potential patients/clients may choose someone else that does. 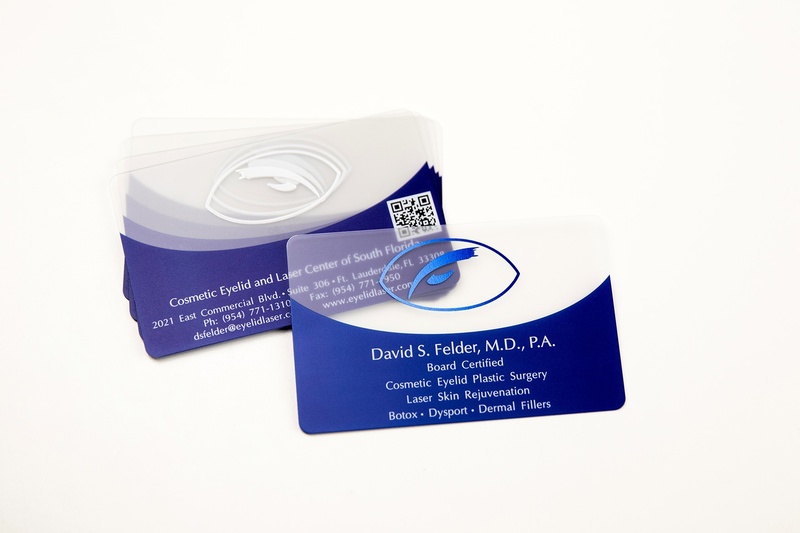 If your plastic surgery practice is searching for the right look for your marketing materials, Plastic Printers can help! 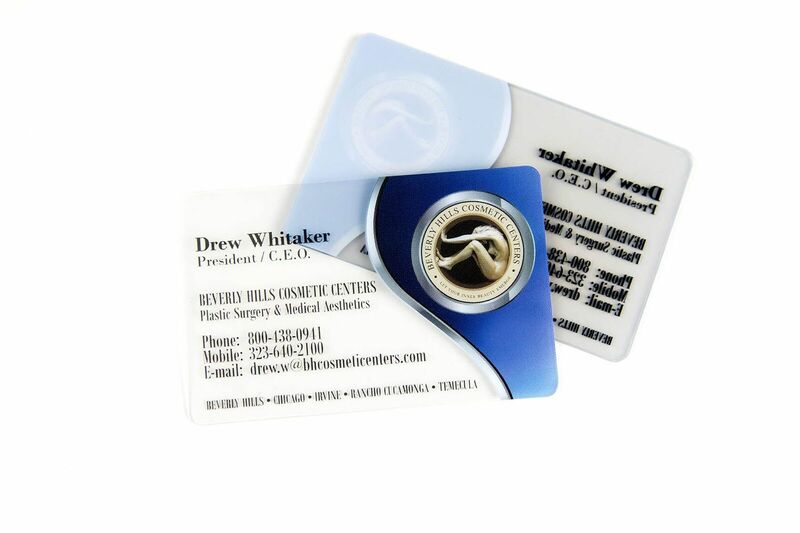 Speak with an expert today for ideas about how Plastic Printers can enhance your plastic surgery marketing efforts. 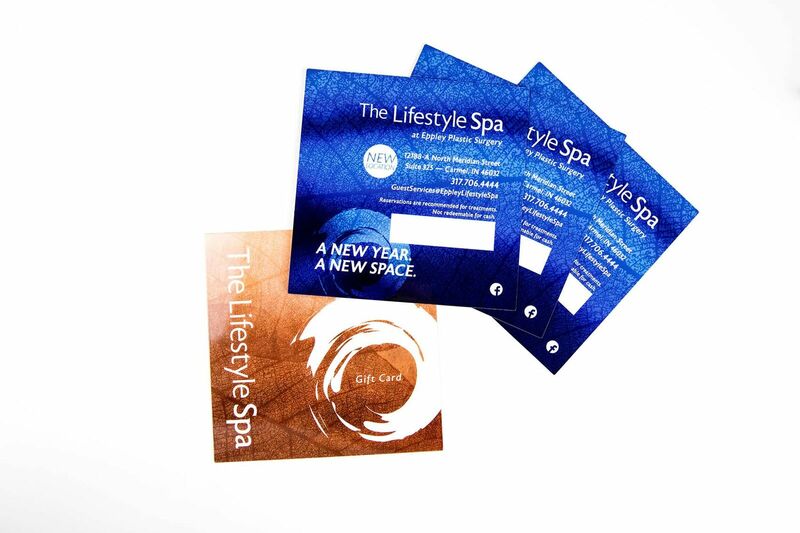 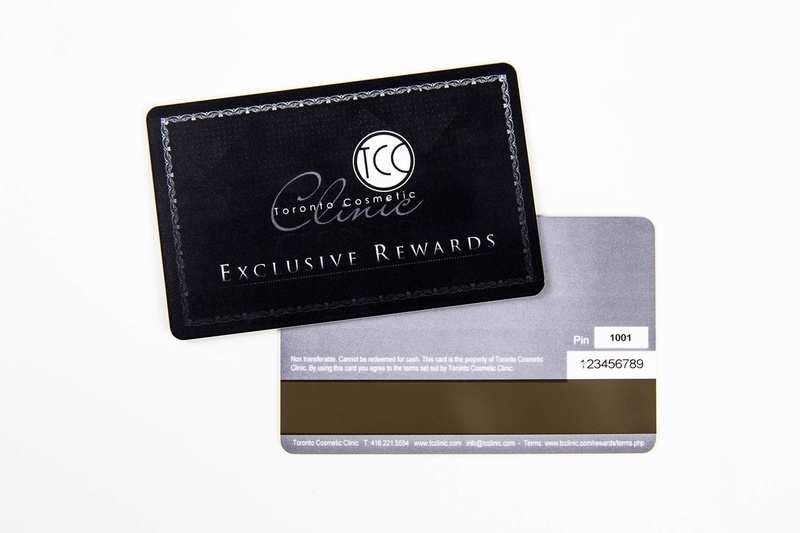 Choose from a variety of colors and placements for a unique business cards and gift cards. 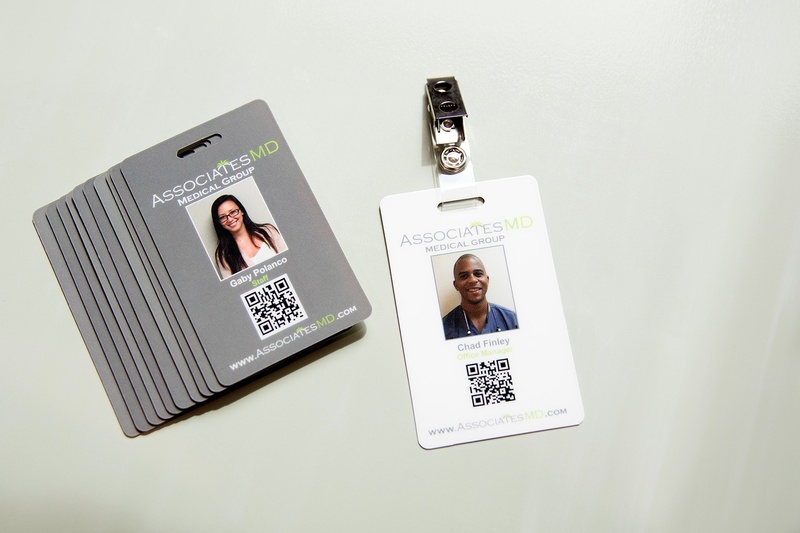 Need key tags for customers, ID badges for your practice's staff or card stands?